All the fixes below work in Windows 10, 8 and 7. If you can log back in your Windows with another user account, you can work from top down the list until the problem goes away. But if you can’t log in, then jump to Fix 5. 1) On your keyboard, press the Windows logo key and E at the same time, then copy & paste C:\Users in the address bar and press Enter. 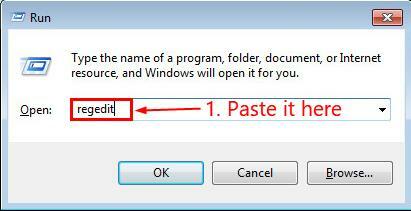 2) Double-click on the affected account and delete the NTUSER.DAT file. 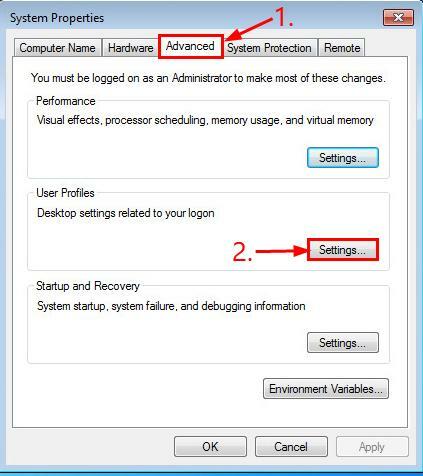 3) Restart your computer and see if you can log in your computer normally. 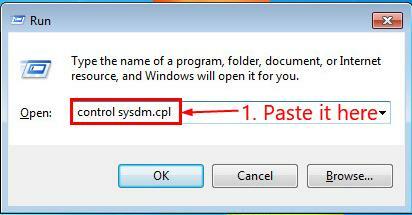 1) On your keyboard, press the Windows logo key and R at the same time, then copy & paste control sysdm.cpl into the box and press Enter. 2) Click the Advanced tab > Settings…. 3) Click on the effected user profile, then click Delete > OK.
4) Restart your computer and hopefully you log back in without any trouble this time. 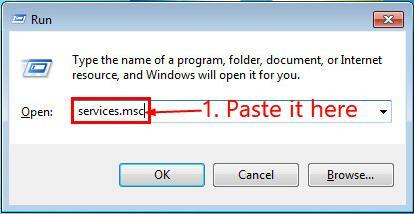 1) On your keyboard, press the Windows logo key and R at the same time, then copy & paste services.msc into the box and press Enter. 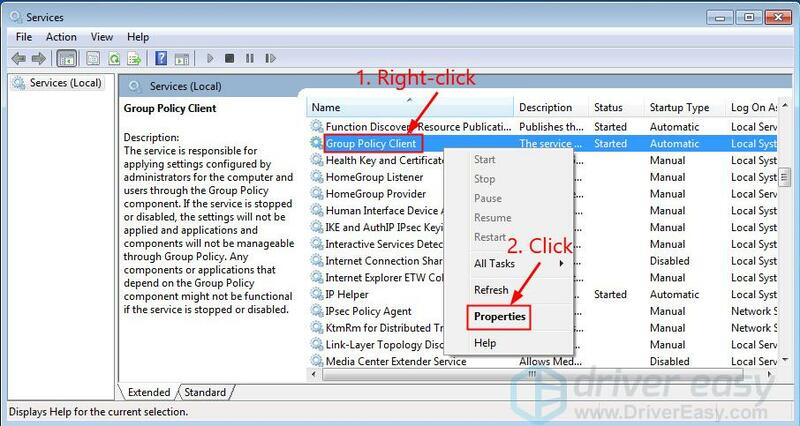 2) Locate and right-click on Group Policy Client, then click Properties. 3) In Startup type, choose Automatic, then click Start > Apply > Enter. 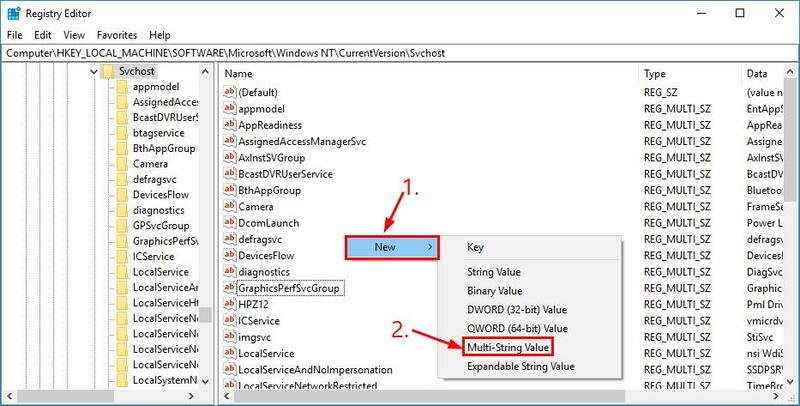 4) Press the Windows logo key and type cmd. 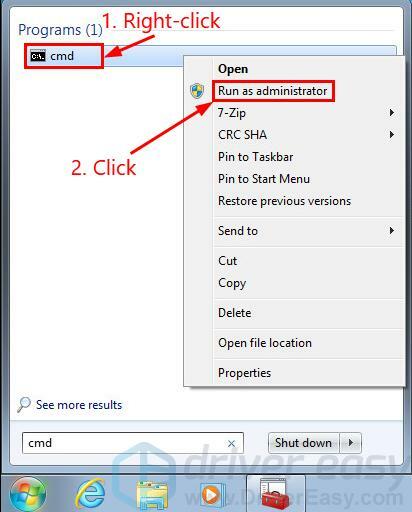 Then right-click on Command Prompt and choose Run as administrator. 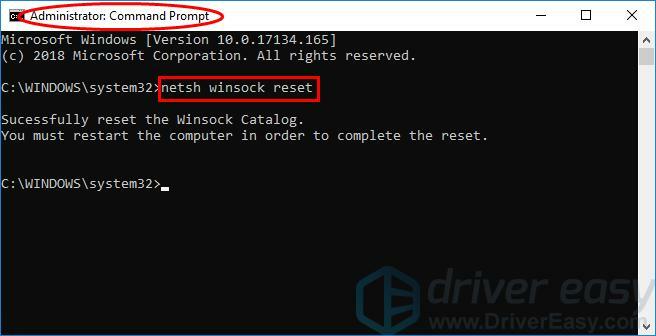 5) Type netsh winsock reset and press Enter. 6) Restart your computer and see if you can log back in normally this time. WARNING: Editing registry incorrectly can incur system failures or even render the computer inoperable. So please proceed with caution or seek professional help in the process. 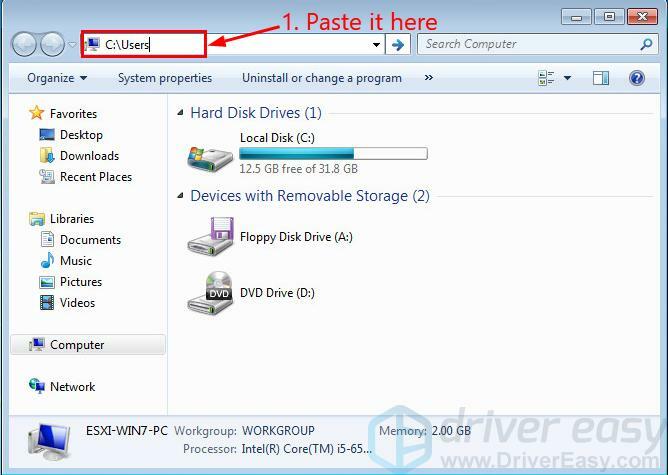 1) On your keyboard, press the Windows logo key and R at the same time, then copy & paste regedit into the box and press Enter. 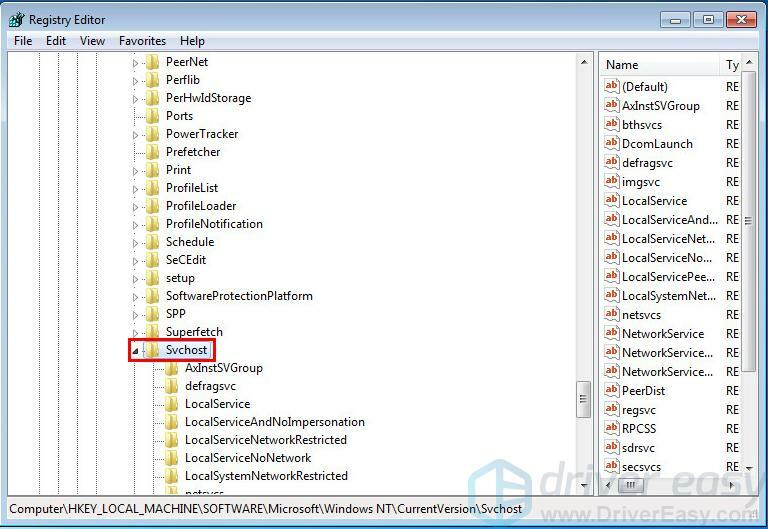 2) Locate and double-click on HKEY_LOCAL_MACHINE > SOFTWARE > Microsoft > Windows NT > CurrentVersion > Svchost. If yes, then jump to 5). If no, then right-click on the blank space and click New > Multi-String Value and rename it to GPSvcGroup. Go to step 4). 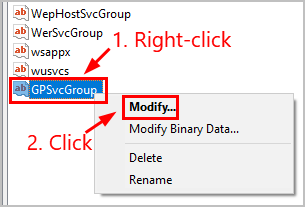 4) Right-click on GPSvcGroup and click Modify…. 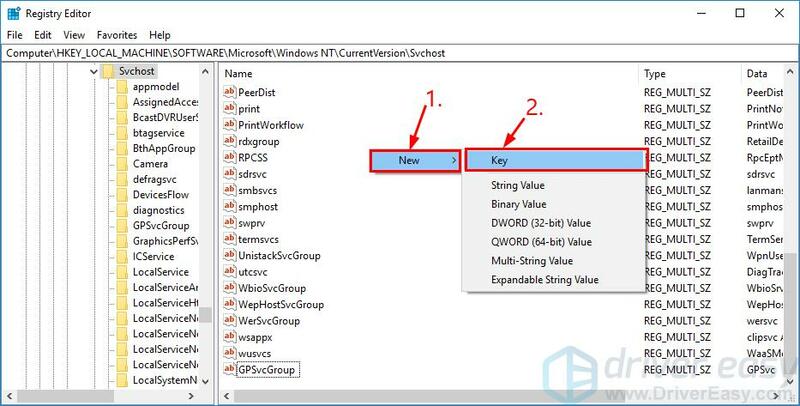 Then copy & paste GPSvc into Value data and click OK.
5) Right-click on the empty space and click New > Key and name it GPSvcGroup. 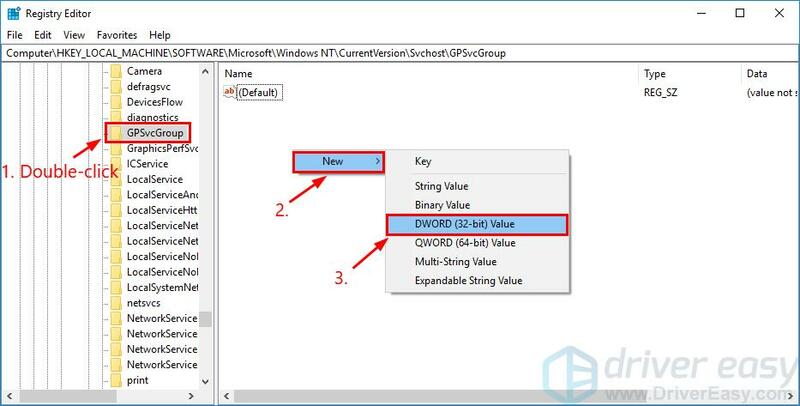 6) Double-click on the newly-created GPSvcGroup folder, right-click on the empty space in the right pane and create a new DWORD value called AuthenticationCapabilities. 7) Right-click on AuthenticationCapabilities, choose Modify…, select Decimal, type 12320 and click OK.
8) Create another DWORD value called CoInitializeSecurityParam and assign it a value of 1. 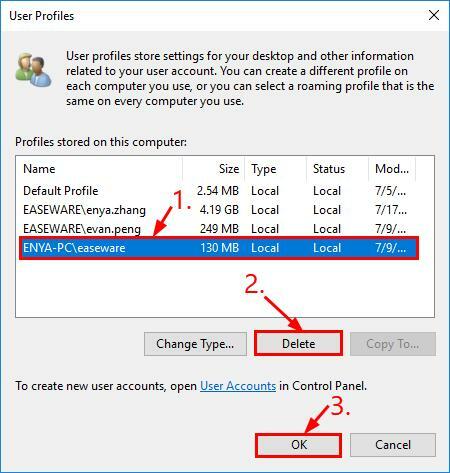 9) Restart your computer and hopefully you can log back in your computer with your original account. Performing a system restore is about taking your computer back to a previous point where it worked properly. If you can’t log in your Windows with other user accounts, then you might have to do a system restore in safe mode to bring your computer back to normal again. You might want to refer to our Knowledge Base for more information on running a system restore in safe mode in Windows 10/8/7. Or you can leave a comment in the comment section so that we could be of better assistance. If the fix above didn’t work, and you don’t have the time or confidence to troubleshoot the problem for yourself, get us to fix it for you. All you need to do is buy a 1-year subscription to Driver Easy (just $29.95) and you get free technical support as part of your purchase. This means you can contact our computer technicians directly and explain your problem, and they’ll investigate to see if they can resolve it remotely. 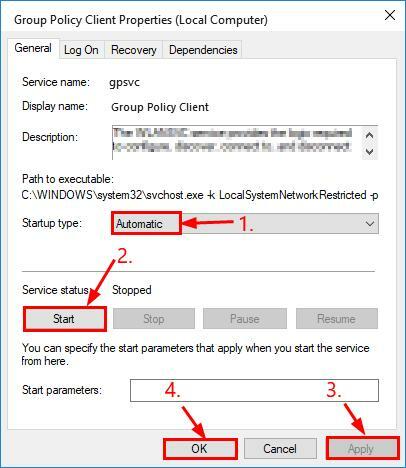 That’s it – 5 fixes for your the group policy client service failed the logon problem. Hope this helps and feel free to comment below if you have any thoughts or further questions.